Oregon’s native oyster, the Olympia, was nearly devoured into extinction by 1915. Today, in spite of a waning population, a group of conservation enthusiasts who prize the quarter-sized mollusk’s meat are working to ensure this regional flavor isn’t washed away forever. According to Phillip Elden, unfortunately, oceanic acidification is hampering the process. The Olympia first came into fashion in the 1800s when California’s Gold Rush brought scores of hungry workers to the San Francisco area. Phillip Elden explains that it did not take long for the shores of the West Coast to be depleted of what was formerly one of its most abundant native lifeforms. The Olympia oyster has been all but replaced by the Pacific oyster, which is native to Asia, in restaurants up and down the Western seaboard. Phillip Elden describes the Olympia as a taste unique to Oregon. It’s coppery and earthy flavor is the result of an extended (36 month) growing season. By maturity, the Olympia is packed with a woody, mushroom flavor that infuses the meat from bay area runoff. Despite naturalists’ best efforts, there is now a new threat facing both the Pacific and the Olympia oyster. Ocean acidification, the result of carbon dioxide emissions, make it more difficult for larval oysters to form their telltale shell. Without this haven of protection, the oysters will eventually die. Local shellfish hatcheries have been hit hard over the last few years, says Phillip Elden. In 2013, researchers at Oregon State University were given a $250,000 grant to develop a breed of acid-resistant oysters for commercial use. Unfortunately, reports Phillip Elden, the Olympia oyster does not boast an adequate population to make research viable on this breed. 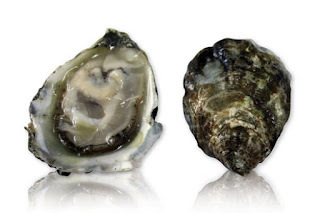 There is one saving grace, however, and that is that Olympia spawn in the fall and spring, meaning developing oysters can avoid the onslaught of summertime pollution.